SOLD OUT! Due to a tremendous response, the Jingle snow globes are no longer available. On Sale In Stores While Supplies Last! 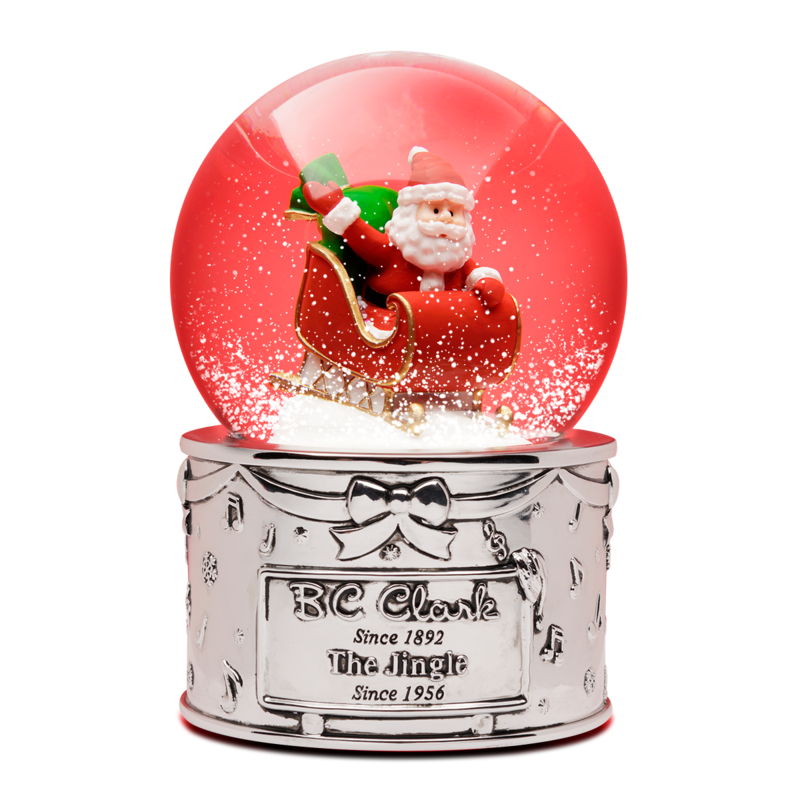 …we are releasing this exclusive snow globe, hand-crafted by Reed & Barton. The snow globe plays the first stanza of the Jingle and then repeats. BC Clark Jewelers’ beloved Anniversary Sale Jingle has been a hallmark of Oklahoma’s holiday season since 1956. Airing locally from Thanksgiving Day to Christmas Eve, it is one of the longest running annual jingles in America. With the timeless craftsmanship of our commemorative Jingle snow globe, you can celebrate this Christmas tradition for years to come – whether you’re in Oklahoma or on the other side of the globe.